Skeletal muscle relaxants are a heterogeneous group of drugs that relax striated muscles and are a different class of drugs used during intubation and surgery.These drugs are used to manage spasticity that occurs in neurological disorders and diseases of upper motor neuron, muscle pain or spasm in peripheral musculoskeletal disorders. 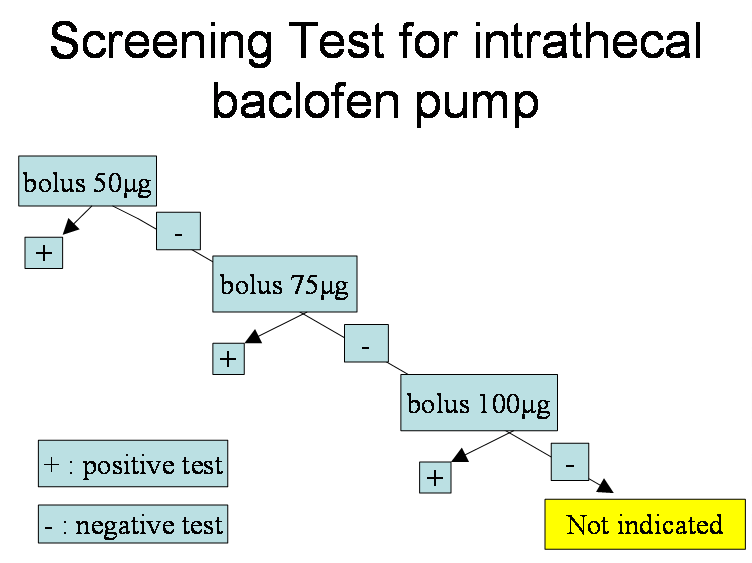 Intrathecal Baclofen Therapy (ITB) 5-8 is used for the treatment of severe spasticity of cerebral or spinal origin; considered for spasticity of the lower extremities, when oral medications are ineffective or not tolerated but also used to control upper extremity spasticity (higher catheter placement). 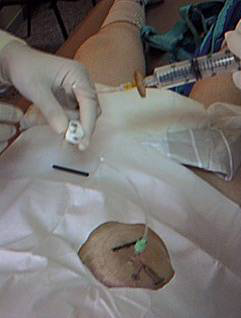 After a successful bolus test screening (see image) the pump is implanted subcutaneously or subfascially in the abdomen, the catheter is tunneled to lumbar region, distal end inserted intrathecally. 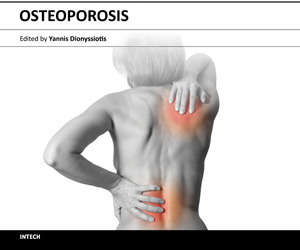 Other drugs for musculoskeletal disorders are: chlorzoxazone (Paraflex), cyclobenzaprine (Flexeril), diazepam (Valium), metaxalone (Skelaxin), methocarbamol (Robaxin) and thiocolchicoside (Muscoril). The mechanism of action of these drugs is unclear and is linked to their sedative action. 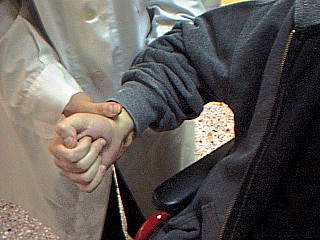 Drugs used in spasticity are also benzodiazepines, clonidine, gabapentin, and botulinum toxin (BTX-A).